Launched in the summer of 2003, the Silicon Valley Innovation Summit is the premier annual gathering of the brightest minds and top entrepreneurs, investors, and corporate players in the Global Silicon Valley. The Innovation Summit has featured dozens of break-out companies before they became household names, including Pixar, Google, Salesforce.com, Skype, MySQL, YouTube, Tesla, Facebook, and Twitter. This two-day exclusive event treats attendees to a high-level debate and discourse on top trends and opportunities in the booming digital media, entertainment, on-demand and cloud computing sectors. For two days, attendees watch and listen to high-level debates and discourse on top trends and opportunities in the booming digital media, entertainment, and on-demand cloud computing sectors. 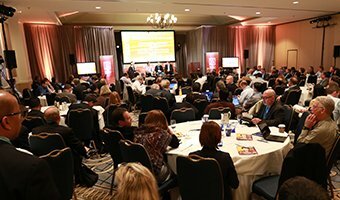 The Innovation Summit is produced in an intimate and social setting, where participants can easily meet up, socially network, and make deals happen. According to LiveOps Research with Harris Interactive, Gen Y wants to engage with brands through a variety of channels today and in the future. But it is the social channel that is expected to see the greatest usage increase, jumping from six percent usage rate today to 11 percent in the near future. No other customer service channel—voice, email, chat, SMS—is expected to see such a significant increase in usage. LiveOps is helping brands respond to this need for social customer engagement with LiveOps Engage, the first fully integrated, multichannel, cloud-based, agent desktop that allows customer service agents to interact with customers on any channel the customer chooses—voice, email, chat, SMS and social. AlwaysOn, the brand behind the event, is the leading business media brand connecting and informing the entrepreneurial community in the Global Silicon Valley. AlwaysOn serves its members by producing intimate executive Innovation Summits for industry insiders in key forward-thinking technology centers around the globe and connecting them daily on a powerful online media network (www.aonetwork.com). * AlwaysOn helped ignite the social media revolution in early 2003, when it launched the industry’s first “blog network” that aggregated the blog posts of the innovation industry’s top thought leaders, such as Tim Draper, Marc Cuban, Fred Wilson, and Bill Gurley.